Oftentimes underplayed, ham truly is a wonderful meat to roast, bake or grill. Oh I know, almost all of us enjoy a good ham at the holidays, but it's really great year 'round. Plain, basted or glazed, each has its own unique tastes and flavors. 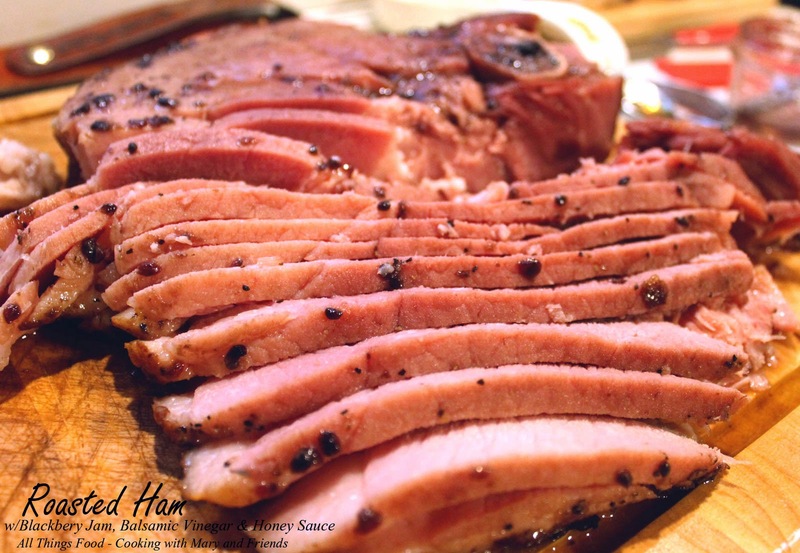 The center-cut ham roast comes from the heart of the ham and is approximately 2-inches thick (much thicker than a ham steak) and is a good choice for a summer time meal, or any time you simply want some ham without buying and preparing a whole large ham. In a small bowl, combine blackberry jam, balsamic vinegar and honey until well mixed; set aside. Place ham roast in a large baking dish, sprayed with cooking spray. Roast 10-15 minutes per pound or until ham reaches an internal temperature of 120 degrees (approx. one hour). During the last 10-15 minutes of roasting, baste liberally with blackberry jam mixture.